There are many different text-based programs that can be used to write code on prior to publishing it on the web. The TextEdit program on Macintosh is one such application that requires a few simple steps to make it a viable options for Mac owners to use for website creation. 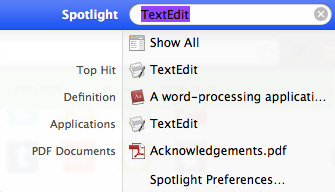 To start, open TextEdit by searching for it via Finder or Spotlight. 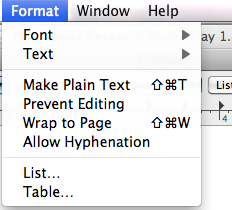 The default option for writing in TextEdit is in the rich text format. Rich text maintains stylized font elements like italics and bold even when moved from one word processor to another. Thus, it is not suitable for html code writing. Therefore, you must change the font style to plain text which does not have these formatting options. Change the text format to plain text by going to the format drop down menu and clicking “Make Plain Text” or holding Shift + Command + T.
Now you’re able to begin writing your code. Once you are finished, save the document as a .html file type so it can be opened in an internet browser. That’s it, enjoy your freedom to code Mac owners. ~ by Steve Crnic on February 1, 2014.